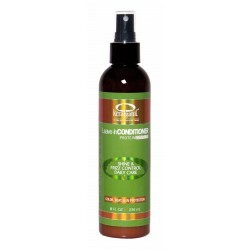 Unique formulation engineered with eleven essential ingredients including hydrolyzed keratin and botanical oils from Moroccan Argan seed, African Palm, Jojoba and extracts from aloe vera, Chinese ginseng, peach, camellia, calendula and myrtle, and wheat protein. 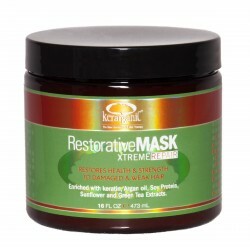 In addition, must-have vitamins and amino acids have been added to heal and restore hair to its healthy state. And there is more. Crucial ingredients to protect color from fading and against harmful UV rays have been added. 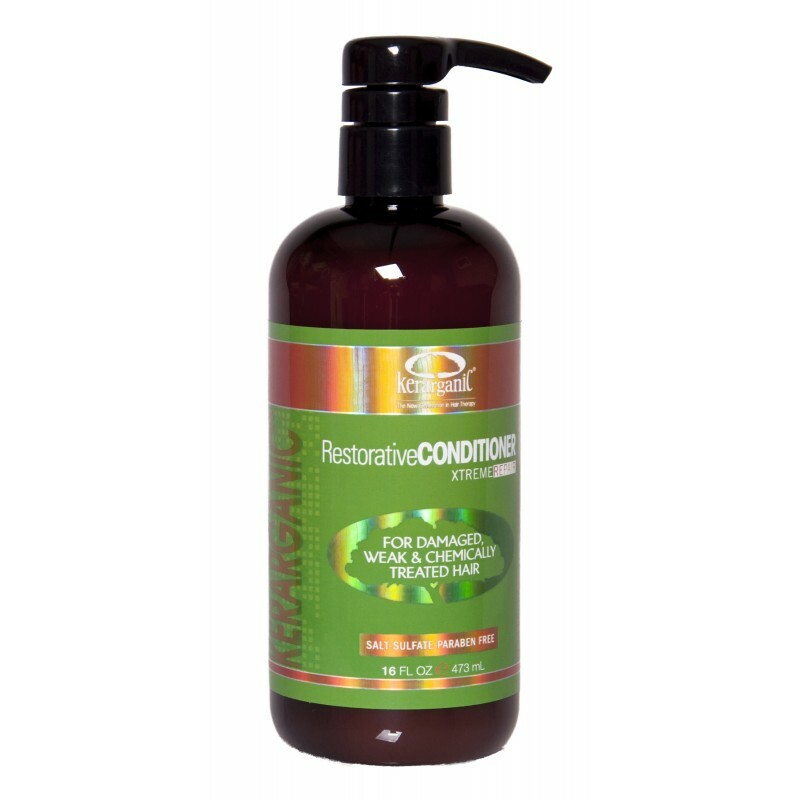 After washing hair with Kerarganic Restorative Shampoo Xtreme Repair, Apply Restorative Conditioner Xtreme Repair to entire hair, massaging thoroughly. Leave it on for about 5 minutes for deep absorption. Then detangle and rinse. Water/Aqua, Aloe Barbadensis(Aloe Vera) Leaf Extract, Hydrolyzed Keratin, Distearoyethyl Dimonium Chloride, Fragrance/Parfum, Ceteareth-20, Elaeis Guineensis Oil, Hydrolyzed Wheat Protein, Myrtus Communis Extract, Argania Spinossa Kernel Oil, Cetearyl Alcohol, Cyclomethicone, Dimethiconol, Prunus Persica Fruit Extract, Panax Ginseng Root Extract, Panthenol,Simmondsia Chinensis Oil, Calendula Officinalis Extract, Behentrimonium Chloride, Phenoxyethanol, Ethylhexyl Glycerin, Ethylhexylmethoxycinnamate, Amodimethicone, Glycerin, C11-15 Pareth-7, Laureth-9, Trideceth-12.